Best known for producing the ill-fated Delorean DMC 12 Sports car, American Car Manufacturer John DeLorean was born 6 January 1925. Production of the iconic DeLorean DMC-12 sports car began in Dunmurry, Northern Ireland in 1981. The DeLorean DMC-12 was manufactured by the DeLorean Motor Company for the American market in 1981-82. Featuring gull-wing doors with a fiberglass underbody, to which non-structural brushed stainless steel panels are affixed, the car became iconic for the appearance of a modified version as a time machine in the Back to the Future film trilogy. The first prototype appeared in October 1976, and production officially began in 1981 in Dunmurry, a suburb of south west Belfast, Northern Ireland. During its production, several features of the car were changed, such as the hood style, wheels and interior. In October 1976, the first prototype DeLorean DMC-12 was completed by William T. Collins, chief engineer and designer (formerly chief engineer at Pontiac). The body design of the DMC-12 was a product of Giorgetto Giugiaro of Ital Design and the car was Originally, intended to have a centrally-mounted Citroën/NSU Comotor Wankel rotary engine. The engine selection was reconsidered when Comotor production ended, and the favored engine became Ford’s “Clogne V6.” Eventually the French/Swedish PRV (Peugeot-Renault-Volvo) fuel injected V6, was selected. Also the engine location moved from the mid-engined location in the prototype to a rear-engined installation in the production car. The chassis was initially planned to be produced from a new and untested manufacturing technology known as Elastic Reservoir Moulding (ERM), which would lighten the car while presumably lowering its production costs. This new technology, for which DeLorean had purchased patent rights, was eventually found to be unsuitable. So Engineering was turned over to engineer Colin Chapman, founder and owner of Lotus. Chapman replaced most of the unproven material and manufacturing techniques with those then employed by Lotus. The backbone chassis is very similar to that of the Lotus Esprit. The original Giorgetto Giugiaro body design was left mostly intact, as were the distinctive stainless steel outer skin panels and gull-wing doors. DeLorean required $175 million to develop and build the motor company. DeLorean eventually built the DMC-12 in a factory in Dunmurry, Northern Ireland, a neighborhood a few miles from Belfast city center. Construction on the factory began in October 1978, and although production of the DMC-12 was scheduled to start in 1979, engineering problems and budget overruns delayed production until early 1981. Hollywood celebrities such as Johnny Carson and Sammy Davis Jr also invested in the firm and The DMC-12 also appears in the Back to the Future film trilogy. The PRV engines of the cars were dubbed over with recorded V8 sounds. Six DeLorean chassis were used during the production, along with one manufactured out of fiberglass for scenes where a full-size DeLorean was needed to “fly” on-screen; only three of the cars still exist, with one having been destroyed at the end of Back to the Future Part III. Universal Studios owns two of the remaining cars, and the last resides in a private collection after having been extensively restored. Sadly though all this endorsement was not enough to save the company and The DeLorean Motor Company went bankrupt in late 1982 following John DeLorean’s arrest in October of that year on drug trafficking charges. He was later found not guilty, but it was too late for the DMC-12 to remain in production. and the company went into liquidation. Approximately 9,000 DMC-12s were made before production halted in late 1982 and about 100 partially assembled DMCs on the production line were completed by Consolidated International (now known as Big Lots). Overall just 9,200 DMC-12s were produced between January 1981 and December 1982 Almost a fifth of these were produced in October 1981. 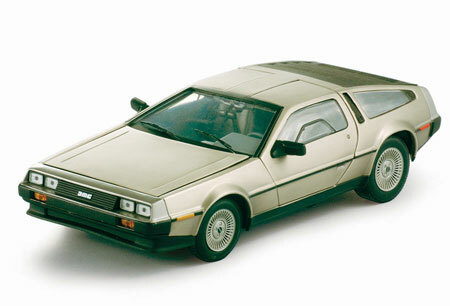 As of 2007, about 6,500 DeLorean Motor cars were believed to still exist. In 1995 Texas entrepreneur Stephen Wynne started a separate company using the “DeLorean Motor Company” name and shortly thereafter acquired the trademark on the stylized “DMC” logo as well as the remaining parts inventory of the original DeLorean Motor Company. deLorean sadly passed away 19 March 2005. In 2009, Slaughter brought together characters from her two main series Grant County and Will Trent/Atlanta in her novel Undone, called Genesis internationally. Will Trent and other characters from that series work a case set in Atlanta with Sara Linton, of Grant County. Also intertwining the characters Will Trent and Sara Linton from her two series is her book “Broken,” published in 2010. It is set in the fictitious Grant Set in the fictional town of Heartsdale, Georgia, (in the fictional Grant County) and the narrative takes place from the perspective of three main characters: Sara Linton, the town’s pediatrician and part-time coroner; her ex-husband to whom she is remarried, Jeffrey Tolliver, who is chief of police; and his subordinate, detective Lena Adams, Slaughter’s most controversial character. The most recent Grant County novel was published in July 2007. The title was Beyond Reach in the US and Skin Privilege elsewhere. The Will Trent series, which takes place in Atlanta, features special Agent Will Trent with the GBI and his partner Faith Mitchell. So far, Will has appeared in Triptych, Fractured, Undone, Broken and Fallen and Criminal was released July 2012. Undone (calledGenesis in the UK and elsewhere) brings together characters from the Grant County series with the Will Trent series. In May 2012 a novella “Snatched” featuring Faith Mitchell and Will Trent was released as an e-book. It contains the first chapter of the upcoming book “Criminal” which was released July 2012. 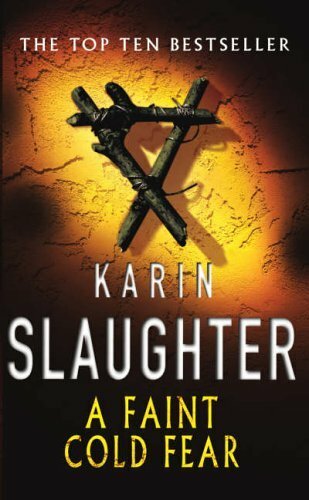 Other works by Karin Slaughter include like a Charm, an anthology, composed of short stories written by several thriller authors. Each story features a charm bracelet that brings bad luck to its owner. The time and place where the stories take place vary greatly, ranging from 19th-century Georgia to wartime Leeds. Karin Slaughter wrote the first and the last stories. Contributing authors, among others, are: Lee Child, John Connolly, Mark Billingham, Lynda laPlante, Denise Mina and Peter Robinson. Triptych (2006) is a novel with three interconnected narrators, set against the urban backdrop of Atlanta. Fractured (2008) continues the series with the character Will Trent from Triptych with a murder in Ansley Park.Martin Misunderstood is an original audio novella narrated by Wayne Knight and is available from BBC Audiobooks America. Both the story and the narration were nominated for an Audie Award in 2009. The book was translated into Dutch and given away to over one million readers. The late, Great Singer, Guitarist and songwriter for Pink Floyd Syd Barratt was born 6th January 1946. Pink Floyd were founded in 1965 and originally consisted of students Roger Waters, Nick Mason,Richard Wright, and Syd Barrett. They first became popular playing in London’s underground music scene in the late 1960s. Under Barrett’s leadership they released two charting singles, “Arnold Layne” and “See Emily Play”, and a successful début album, The Piper at the Gates of Dawn . In 1968 Syd Barratt departed from the group due to his deteriorating mental health & Gilmour joined Pink Floyd as the fifth member several months prior to this. Following the loss of their principal songwriter, Pink Floyd bassist and vocalist Roger Waters became the band’s lyricist and conceptual leader, with Gilmour assuming lead guitar, taking on most of the band’s music composition, and sharing lead vocals. With this line-up Pink Floyd achieved worldwide critical and commercial success with their progressive and psychedelic rock music, which used philosophical lyrics, sonic experimentation, innovative album art, and elaborate live shows. and release of many concept albums such as The Dark Side of the Moon, Wish You Were Here, Animals and The Wall. Pink Floyd ranked number 51 on Rolling Stone magazine’s list of “The 100 Greatest Artists of All Time”, with David Gilmour ranking 14th in the greatest guitarists list. Largely due to the success of their albums the band was ranked No. 3 in Colin Larkin’s the ‘Top 50 Artists Of All Time’, a ranking based on the cumulative votes for each artist’s albums that appear in the All Time Top 1000 Albums. 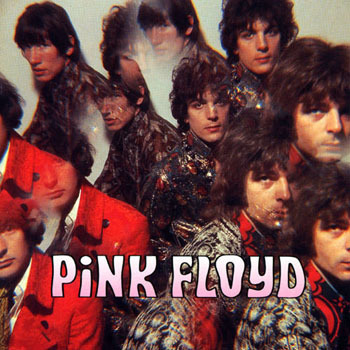 Numerous artists have been influenced by Pink Floyd’s work: David Bowie has called Syd Barrett a major inspiration, The Edge (U2) also bought his first delay pedal after hearing the opening to Animals; and the Pet Shop Boys paid homage to The Wall during a performance in Boston; Marillion guitarist Steve Rothery has cited Wish You Were Here as a major inspiration; and many other bands, such as the Foo Fighters, Dream Theater, My Chemical Romance, Porcupine Tree, The Mars Volta, The La’s, Queen, Oasis, Iron Maiden, Stone Temple Pilots, Coheed and Cambria, Tool, Queensryche, 30 Seconds to Mars, Scissor Sisters, Rush, Radiohead, Gorillaz, Mudvayne, Nine Inch Nails, Korn, Primus and the Smashing Pumpkins, some of whom have recorded Pink Floyd covers, have been influenced by them. Pink Floyd have also been nominated for and won multiple awards Technical awards include a “Best Engineered Non-Classical Album” Grammy in 1980 for The Wall and BAFTAs award for ‘Best Original Song’ (awarded to Waters) and ‘Best Sound’ (awarded to James Guthrie, Eddy Joseph, Clive Winter, Graham Hartstone and Nicholas Le Messurier) in 1982 for the The Wall film. A Grammy came to them in 1995 for “Rock Instrumental Performance” on “Marooned”. In 2008 Pink Floyd were awarded the Polar Music Prize for their contribution to contemporary music; Waters and Mason accepted the prize from King Carl XVI Gustaf of Sweden. They were inducted into the Rock and Roll Hall of Fame on 17 January 1996, the UK Music Hall of Fame on 16 November 2005 and the Hit Parade Hall of Fame in 2010. Pink Floyd have become one of the most commercially successful and influential rock music groups of all time, and have sold over 230 million albums worldwide, including 74.5 million certified units in the United States. The band were inducted into the Rock and Roll Hall of Fame in 1996. Since then they have continued to enjoy worldwide success and are one of the most commercially successful and influential rock music groups of all time. Having sold over 200 million albums worldwide. Malcolm Young, Scottish-born Australian guitarist and founding member of Rock Band AC/DC was born 6th January 1953. AC/DC were Formed in 1973 by Malcolm and his brother Angus Young, who have remained the sole constant members. The band are commonly classified as hard rock, they are considered pioneers of heavy metal and are sometimes classified as such, though they themselves have always classified their music as simply “rock and roll”. To date they are one of the highest grossing bands of all time. AC/DC underwent several line-up changes before releasing their first album, High Voltage, on 17 February 1975. Bass player Cliff Williams replaced Mark Evans in 1977 for the album Powerage. Within months of recording the album Highway to Hell, lead singer and co-songwriter Bon Scott died on 19 February 1980, after a night of heavy alcohol consumption. The group briefly considered disbanding, but Scott’s parents urged them to continue and hire a new vocalist. Ex-Geordie singer Brian Johnson was auditioned and selected to replace Scott. Later that year, the band released their highest selling album, and ultimately the third highest-selling album by any artist, Back in Black. The band’s next album, For Those About to Rock We Salute You, was their first album to reach number one in the United States. AC/DC declined in popularity soon after drummer Phil Rudd was fired in 1983 and was replaced by future Dio drummer Simon Wright, though the band resurged in the early 1990s with the release of The Razors Edge. Phil Rudd returned in 1994 (after Chris Slade, who was with the band from 1989–1994, was asked to leave in favour of him) and contributed to the band’s 1995 album Ballbreaker. Epiphany or Theophany traditionally falls on January 6, is a Christian feast day that celebrates the revelation of God the Son as a human being in Jesus Christ. Western Christians commemorate principally (but not solely) the visitation of the Biblical Magi to the Baby Jesus, and thus Jesus’ physical manifestation to the Gentiles. Eastern Christians commemorate the baptism of Jesus in the Jordan River, seen as his manifestation to the world as the Son of God. Eastern Churches following the Julian Calendar observe the Theophany feast on what for most countries is January 19 because of the 13-day difference today between that calendar and the generally used Gregorian calendar. Since 1970, the date of the celebration by Latin Rite Roman Catholics is fixed as January 6 only in countries where the feast is a Holy Day of Obligation, while in other countries it falls on the Sunday after January 1. In the Church of England also, the feast may be celebrated on the Sunday between January 2 and 8 inclusive. A separate celebration of the Baptism of the Lord was introduced for Latin Rite Roman Catholics in 1955. Initially, this was to be held on January 13, previously the octave day of the Epiphany, but in the 1969 revision of the General Roman Calendar the date was changed to the first Sunday after January 6. In countries where in a particular year the Epiphany falls on January 7 or 8, the feast of the Baptism of the Lord is celebrated on the following Monday. In the Church of England, the same custom may be followed. In the Episcopal Church in the United States, the feast of the Baptism of the Lord is always the Sunday after January 6. Having seen some fantastic engravings for Coleridge’s Rime of the Ancient Mariner and Milton’s Paradise Lost by French artist, engraver, illustrator and sculptor Paul Gustave Doré I thought I would write about him. He was born January 6, 1832. He worked primarily with wood engraving and steel engraving. Doré was born in Strasbourg and his first illustrated story was published at the age of fifteen. His talent was evident even earlier, however. At age five he had been a prodigy troublemaker, playing pranks that were mature beyond his years. Seven years later, he began carving in cement. Subsequently, as a young man, he began work as a literary illustrator in Paris, winning commissions to depict scenes from books by Rabelais, Balzac, Milton and Dante.In 1853, Doré was asked to illustrate the works of Lord Byron. This commission was followed by additional work for British publishers, including a new illustrated English Bible. In 1856 he produced twelve folio-size illustrations of The Legend of The Wandering Jew for a short poem which Pierre-Jean de Ranger had derived from a novel of Eugène Sue of 1845. In the 1860s he illustrated a French edition of Cervantes’s Don Quixote, and his depictions of the knight and his squire, Sancho Panza, have become so famous that they have influenced subsequent readers, artists, and stage and film directors’ ideas of the physical “look” of the two characters. Doré also illustrated an oversized edition of Edgar Allan Poe’s “The Raven”, an endeavor that earned him 30,000 francs from publisher Harper & Brothers in 1883.Doré’s illustrations for the English Bible (1866) were a great success, and in 1867 Doré had a major exhibition of his work in London. This exhibition led to the foundation of the Doré Gallery in Bond Street, London. In 1869, Blanchard Jerrold, the son of Douglas William Jerrold, suggested that they work together to produce a comprehensive portrait of London. Jerrold had obtained the idea from The Microcosm of London produced by Rudolph Ackermann, William Pyne, and Thomas Rowlandson in 1808. Doré signed a five-year contract with the publishers Grant & Co that involved his staying in London for three months a year, and he received the vast sum of £10,000 a year for the project. Doré was mainly celebrated for his paintings in his day. His paintings remain world renowned, but his woodcuts and engravings, like those he did for Jerrold, are where he really excelled as an artist with an individual vision. The completed book, London: A Pilgrimage, with 180 engravings, was published in 1872. It enjoyed commercial and socio-economical success, but the work was disliked by many contemporary critics. Some of these critics were concerned with the fact that Doré appeared to focus on the poverty that existed in parts of London. Doré was accused by the Art Journal of “inventing rather than copying.” The Westminster Review claimed that “Doré gives us sketches in which the commonest, the vulgarest external features are set down.” The book was a financial success, however, and Doré received commissions from other British publishers. Doré’s later work included illustrations for new editions of Coleridge’s Rime of the Ancient Mariner, Milton’s Paradise Lost, Tennyson’s The Idylls of the King, The Works of Thomas Hood, and The Divine Comedy. Doré’s work also appeared in the weekly newspaper The Illustrated London News.Doré continued to illustrate books until his death on January 23, 1883 in Paris following a short illness. The city’s Père Lachaise Cemetery contains his grave.